Fruit tastings continue, with our delicious gold and white nectarines! This time at two more quality independent retailers in Adelaide. Pasadena and Frewville foodlands. 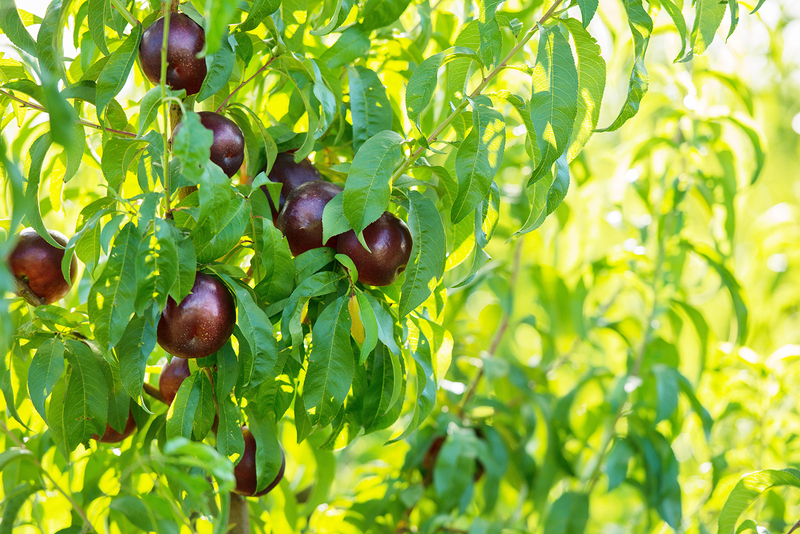 Remember this summer if you want to take the headache out of selecting good nectarines, then look for ‘The Chosen Ones’ brand. That Brand is my promise and commitment, that I’ve done the best I can to select only the best for you. Available in leading greengrocers in Adelaide, Melbourne, Sydney and Brisbane. The Chosen one’s are available now at quality independent retailers in Australia. Look for the fruit sticker with ‘The Chosen one’s’ written on it. White and yellow delicious nectarines! Keep looking, we are still picking! 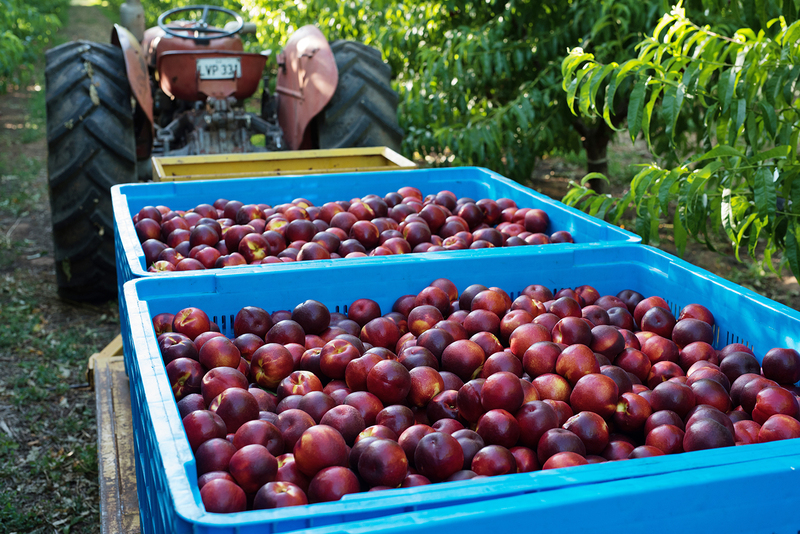 We are still busy picking yummy nectarines before Christmas. Lots of work ensures that we only pick the best fruit for you. At the Chosen Ones, our moto is: Perfectly picked for flavour. We are confident to put that on our box because I know just how much hard work I do….to do exactly that, ensure only our best tasting varieties are picked perfectly. It is not easy, but we think it’s worth it. 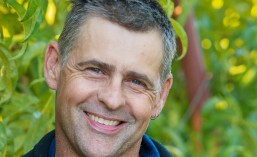 So look for the Chosen Ones at leading greengrocers in Sydney, Melbourne, Brisbane and Adelaide. 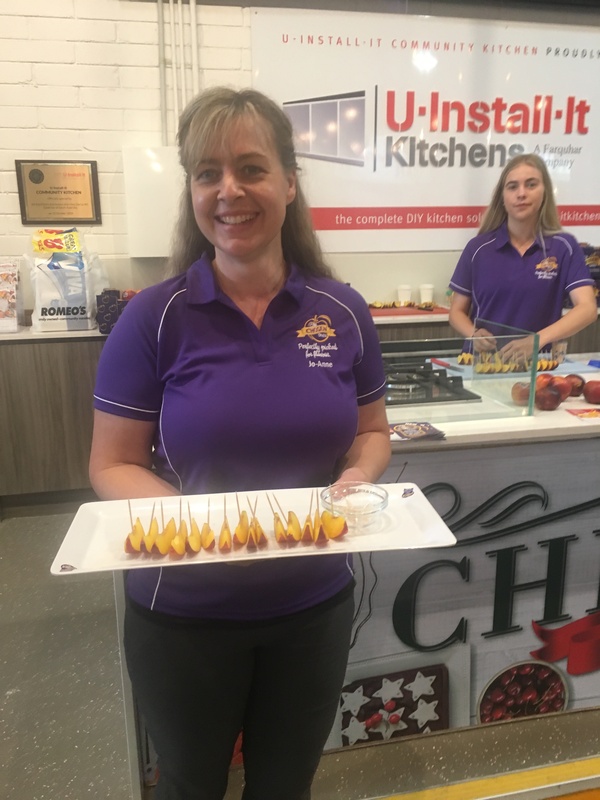 just like to introduce my wife, Jo-Anne who has been busy visiting retailers and providing samples of our yummy nectarines to our many customers and future customers. Jo-Anne has been travelling around to the capital cities meeting many of the lovely people who purchase and consume our delicious fruit. 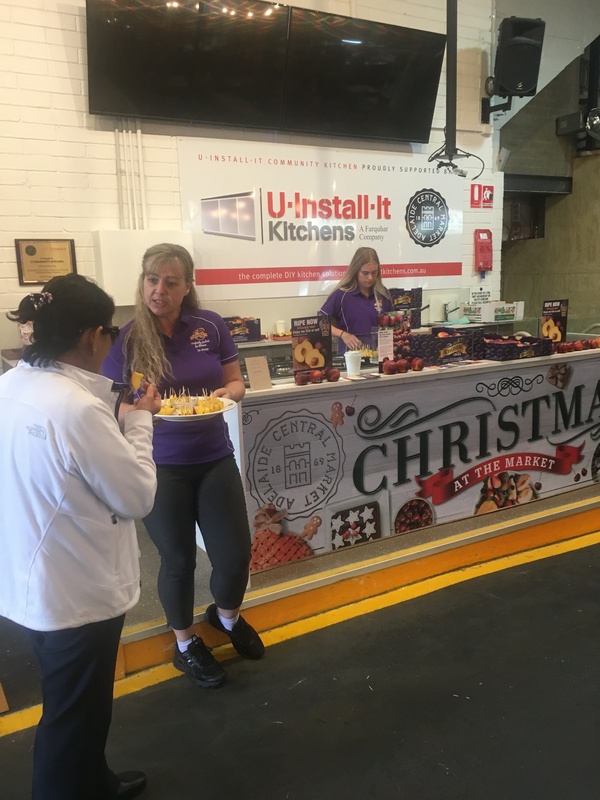 Below is a couple of pictures of Jo-Anne in the Adelaide central markets getting customers to taste our new varieties in ‘The Chosen ones’ brand. We had a fantastic day with an exceptional response. We have a saying “many are called, few are chosen”. This is exactly what we have done, we have selected the finest just for you – you can in fact call us picky for picking perfectly for flavour! 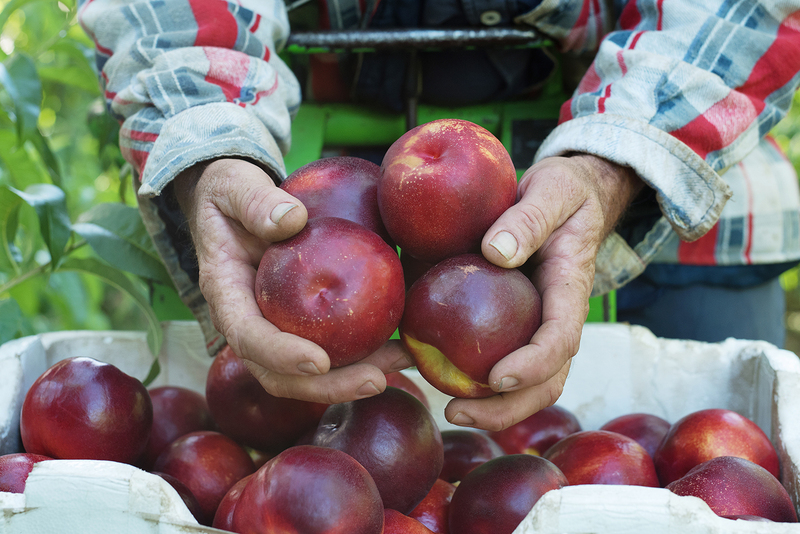 Remember, this summer, if you want to take the headache or disappointment out of selecting good nectarines, then look for The Chosen Ones brand. That brand is my promise and commitment, that I’ve done the best I can to select only the best for you. 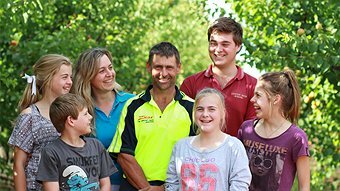 The Chosen Ones are available in leading greengrocers in Melbourne, Sydney and Brisbane.